Burnt sienna color. Aromas and flavors of chocolate croissant, buttered gingerbread, red apple and beet relish, and mushrooms in cream with a velvety, vibrant, fruity medium body and a graceful, interesting, medium-long finish imparting touches of hazelnut latte and blood orange with silky tannins and moderate oak flavor. A rich and toasty Pinot Noir that’s been well-loved by the barrel. 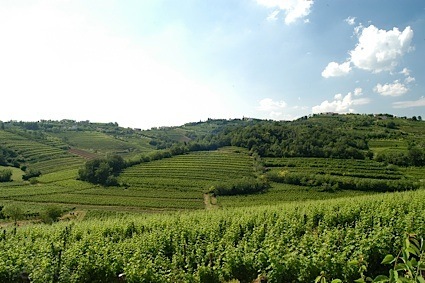 Bottom Line: A rich and toasty Pinot Noir that's been well-loved by the barrel. 90 • Poppy 2014 Reserve, Pinot Noir, Santa Lucia Highlands 13.5% (USA) $18.00. 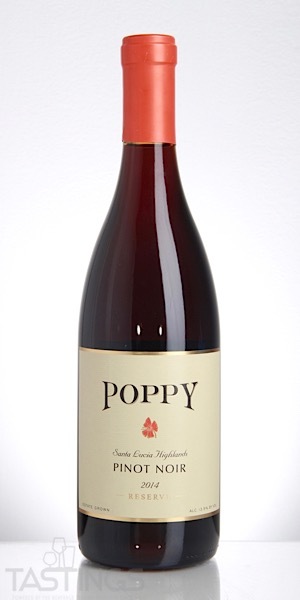 88 • Poppy 2015 Pinot Noir, Monterey County 13.5% (USA) $15.00. Poppy 2014 Reserve, Pinot Noir, Santa Lucia Highlands rating was calculated by tastings.com to be 90 points out of 100 on 12/6/2018. Please note that MSRP may have changed since the date of our review.